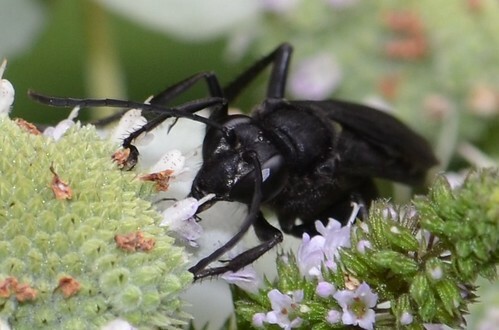 With the wings held back, the blue iridescence of the wings might lead one to mistakenly identify this as a small Sphex pensylvanicus, Great Black Wasp. But once the wings spread to the sides, the exposed abdomen distinguishes it. 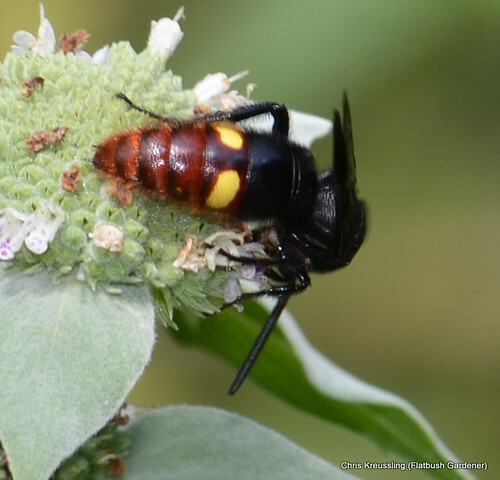 The cinnamon- colored abdomen and two bright yellow spots make for a clear identification, once you know the species. 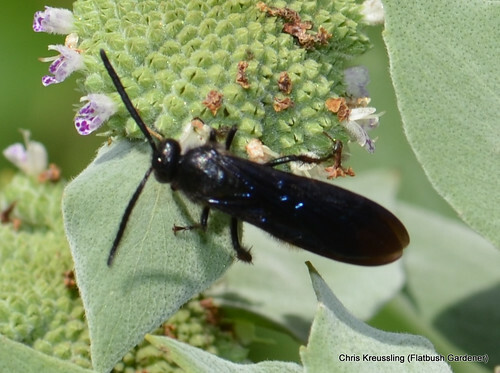 Adults feed on nectar, which both the Mountain-Mint and Summersweet offer in abundance. 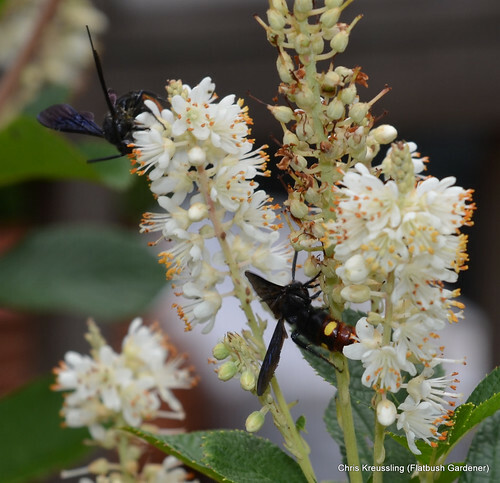 Females dig in search of grubs of June Bugs and Japanese Beetles to parasitize with their eggs. The wasp larva feeds on the beetle grub and overwinters as a cocoon, emerging the next year. 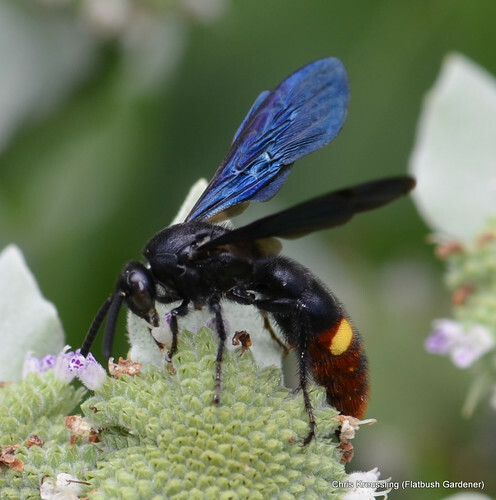 This species is another example of the importance of providing habitat for wasps in the garden; they are natural bio-controls of other insects that might otherwise overwhelm the gardener's intentions. Thank you for blogging about them! I was excited to find Blue-winged Wasps on our goldenrod this afternoon, but couldn't identify them until I found your post.